National Rug Cleaners has been servicing residents in the metro Atlanta area since 1997. During this time period, we have had provided high quality services and good old-fashioned workmanship to scores of residential and commercial clients. Our floor cleaning products are safe, non-toxic, environmentally friendly, pet friendly and biodegradable. National Rug Cleaners places the highest priority on servicing you as the customer, and our goal is to ensure you that we use only the safest and most effective products. Once again, we thank you for taking the time to browse our site; we hope that you will give us an opportunity to service your commercial floor cleaning needs. Clean Rubberized Flooring—we use our specialized Green Process to clean and disinfect the flooring. Cleaning Rubberized Flooring on playgrounds is done with our specialized Green cleaning process. Cleaning Rubberized Flooring in kitchens opens the porosity of the floor allowing dirt, grease and grime to be removed leaving the floor clean and sanitized. 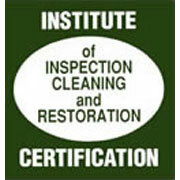 National Rug Cleaners Inc. specializes in the cleaning of rubberized floors. Often rubberized floors are found in indoor playgrounds of restaurant chains such as McDonalds, Chick-Fil-A and Burger King. Rubberized floors become dirty over time from lint, dust and dirty feet. Our process uses low pressure and little water to clean and disinfect the flooring restoring the color of the floor and removing the dirt and debris. National Rug Cleaners has also developed a process to clean rubberized kitchen flooring in these same fine establishments. Our process use warm water and extraction to lift the dirt out of the porosity of the flooring, thereby leaving it clean and grease free.